A mania for competition so possesses our societies that it is hard to imagine any other way of being, and yet I think it is critical that we free ourselves from its grip. In the West, the Christian churches, from long habit, had an explanation for everything. Alas, with the rise of science, these churches chose to cling to Old Testament ‘certainties’, with the result that, when the cosmology of ‘Creation’ was overturned, the New Testament began to sink with it. In Western civilisation, only the peace-making teachings of Jesus Christ were strong enough to stand up against that other hoary tradition: constant conflict. The wolf-eat-dog mentality of the Roman Republic, for example, devoured the western half of the ‘ancient world’, and was only, by the Empire’s adoption of Christianity, moderately tamed. The sporting competitions at Olympia, that were really the internecine warfare between the Greek city states in a ‘gentler’ form, crowned their winners with wreaths; their Roman conquerors wore laurel wreaths as a sign of military victory. 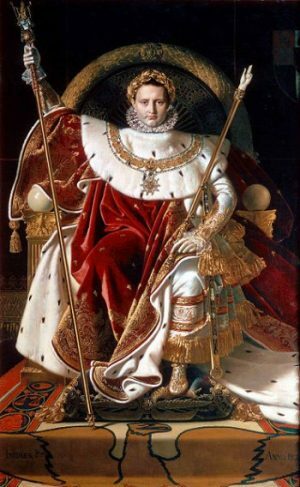 This vertical dimension in human affairs, that raises the winner above the loser, is also the basis of hierarchies of power; the ruler sitting enthroned in triumph above the ruled. It was Christ (and the other great prophets) who preached a levelling horizontal dimension: the brotherhood each man should feel for another. Our tendency towards hierarchy is balanced by another for fairness and equality: though we are individuals, we are also social animals. It was Darwin who administered the deepest wound to Christianity. His ‘survival of the fittest’ dethroned Man from the centre of Creation; as Copernicus had dislodged the Earth from the centre of the Universe. The brotherhood of Man was reduced to individuals struggling against each other – a process of atomisation that culminated in Dawkins ‘selfish gene’. With fateful timing, On the Origin of Species arrived even as the Industrial Revolution was tearing society apart. Evolution ‘proved’ that we were all in desperate competition with each other: man against man – and, by analogy, tribe against tribe, nation against nation. This process of ‘individualisation’ was termed ‘progress’, itself a survival of Christianity’s linear time: creation, salvation, judgement, (as is another survival: the pernicious belief that God gave us the world for our use). Other societies, the Asian East for example, whose achievements of peace and beliefs in cyclical time were dismissed as ‘stagnation’, were shattered by our Western ‘progress’. Our civilisation conquered using the results of our relentless competition: weapons and industrialisation. All these factors coalesced with ever greater fury into the maelstrom of wars that we sucked the rest of the world into. Hitler’s creed, however crooked, was rooted in what had gone before. So here we are today in a world that is still dominated by our Western ‘progress’. Socialism, the inheritor of Christ’s horizontal, levelling doctrine, is everywhere in retreat. Capitalism, in spite of all its failures, rules triumphant. And what is this ‘capitalism’ if not competition – endless, unrelenting competition? And what is competition but warfare writ small. Even in the modest arena of a football ground is it hard to see the game as being a ‘little war’? Competition, whatever mask it wears, is the deadly foe of universal brotherhood. It is the vertical dimension in human affairs that sorts people into winners and losers. If we are determined to define our existence along this axis, then we should hardly be surprised that the gap between rich and poor is everywhere widening. We should hardly be surprised that we are all in a race against each other, a race that, when it doesn’t actually spill blood, rips our planet to pieces to feed its insatiable appetite for ‘progress’. We all know that we are on a trajectory to disaster, but even now our politicians are urging us to ‘grow’ our economies at ever greater speed. For now at least religion’s credibility is spent. When it fights science with explanations of the world a thousand years old, it is going to lose. When it turns to violence, it loses. All the old forms of universal brotherhood have lost their power. We can hope that, through the internet, new forms are rising. But in the meantime, let us at least bear down on ‘competition’ – for in all its guises it is destructive to the world and to ourselves. Get a grip. Last I checked, the earth is still whole. And, nobody wants a brotherhood of man. What folks want is to take stuff from other people. It’s in the genes. Let’s deal with reality, not fantasy. And finally, religion is hardly dead. It’s morphed. All the knuckleheads that used to flagellate, now whip themselves with guilt over ‘inequality’.